Service No. R38820, Kings Royal Rifle Regiment. Born 1873, Francis lived in Green Hill Terrace (Census 1881). Father James, mother Ester (nee Rowe), brother Henry James, and sister Alice Amelia. Possibly a Prisoner of War March 21 1918, repatriated Dec 1918. Awarded the Victory & British War Medals. Ordnance Dept., Machine Gun Corps. Noted in the Parish Magazine as enlisted September 1914. Herbert was born on 26 May 1897. His parents were James and Edith Badger of 6 East Comer which then was in Hallow. The family had lived in Happy Land West at the time of the 1911 census when Herbert was fitting in a part-time job as Hairdresser’s assistant whilst he was still at school. Herbert was a blacksmith’s assistant when he joined the Royal Navy as a Boy 2nd Class on 1 June 1913. He is first mentioned in the Parish Magazine of September 1914 serving on HMS Royal Arthur, which was at the time in the 10th Cruiser Squadron. After a period attached to a shore base establishment Herbert joined the newly refitted HMS Queen Mary on 9 January 1915 as a Boy 1st Class. In 1916 HMS Queen Mary was part of the large fleet at “The Battle of Jutland”. She suffered two hits and her magazines exploded causing her to sink. 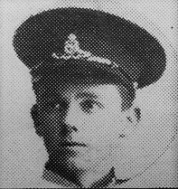 Herbert died on that day, 31st May 1916, just a few days after his 19th birthday, when he had become an Ordinary Seaman. The circumstances of his death were reported in the Parish Magazine for July 1916. Herbert’s brothers also served in the War, namely James, John, Thomas, William Charles (see details below). Recorded in the Parish Magazine of August 1915. He was born in 1893. His parents were James and Edith Badger of 6 East Comer which then was in Hallow. The family had lived in Happy Land West at the time of the 1911 census. First mentioned in the Parish Magazine of April 1915. John lived at 6 East Comer, Worcester with his parents, James and Edith. (He is named as Jonathan on Absent Voters List of 1918). Thomas was born on 7 May 1900, one of the sons of James and Edith Badger who by 1911 were living at 6 Happyland West in St Johns, Worcester. He joined the Navy for 12 years on 7 May 1918. He is mentioned in the Parish Magazines of June 1918 and March 1919. Thomas was a “Boy II”, “Boy I” and later an Ordinary Seaman on HMS Powerful which was a training ship at Devonport. From 30 September 1918 to September of the following year Thomas was serving on HMS Cicala which was a River gunboat. This website gives full details of the ships travels taken from the ship’s logbooks: http://www.naval-history.net/OWShips-WW1-11-HMS_Cicala.htm. Thirteen other attachments followed until Thomas completed his naval service on HMS Concord on 9 April 1928 having taken troops to China in February of that year. He was awarded Good Conduct badges in 1921 and 1926 which entitled him to additional pay, (believed to have been one penny ‘1d’ a day). The RN record is also marked “Traced Medal” which indicates that he was awarded the RN Long Service Good Conduct medal. William was born on 19 January 1896, one of the sons of James and Edith Badger (mentioned above). He enlisted on 15 April 1915 and was based on land at Victory I Portsmouth. Other land depots followed – HMS Dido and from 28 August until 27 October 1918 HMS Dolphin, which was a shore base for submarines, His wartime service was completed attached to the depot ship HMS Maidstone at Harwich on HMS L14, (part of the Harwich 9th Flotilla) which was a Group 2 submarine with a mine-laying capability. William continued to serve in the Royal Navy until September 1928. It is thought that most of his career was spent on submarines. During his time in the Royal Navy, William was granted the War Gratuity in 1919, gained an Auxiliary Working Certificate 1921 and later was awarded an Education Certificate. William was also awarded three Good Conduct badges and the RN Long Service Good Conduct medal. Service No. M2/117333, Army Service Corps. MT 594 Co.
William was born c. 1886 in Worcester and, when he enlisted 14 August 1915 aged 29, he lived at 13 Farley Street, Comer Gardens. In 1906 he married Annie Stokes at Lady Huntingdon’s Chapel in Worcester. They had two children John and Dorothy, the latter having been born In March 1915. William was an electrician by trade. His vision was good, but he had a slight haemic murmur of the heart. William had previously served for seven years in the Worcs Field Artillery and he joined the MT section of the Army Service Corps. He was appointed as a paid Acting Corporal in November 1915 whilst in Portsmouth and the appointment to Corporal was confirmed the following June. He was an electrician, part of the 594 Company BEF in February 1916 and was on furlough for a fortnight from 30 September1918. William spent his service from 6 October 1916 with 594 Corps X Siege Park, which was the ammunition column for the RGA 34th Brigade. By 5 April 1919 he was Acting Sergeant and was in Bonn, Germany for a medical prior to demobilisation. He was in the UK for a month from 13 April 1919 when he was sent home for permanent discharge. William was well regarded, “very reliable and conscientious”, he had good power of control and was tactful in the way of handling his men. Bertram was born in 1891 (St Peters), his father William was a dealer in hides, and his mother was Mary (Census 1891). They lived at 81 Diglis Road. Bertram had 2 brothers and 2 sisters, and he enrolled June 1917 (his occupation was given as horse and cattle dealer). At this time, he was living at 235 Henwick Road. He was posted to Rouen, France Nov 1917. In June 1918 he was appointed Lance Corporal, and demobbed in March 1919. He received the Victory and British War medals. Service No. B2505 & M2/ 114703, Army Service Corps, Motor Transport. David Boyd was born c. 1883 in Minley, Hampshire. He was an “Electrician Motor Fitter” working as a chauffeur for Mrs. Fisher, Radyr, Cardiff, South Wales when he was posted for duty on 25 June 1915 at Cardiff. David was in France with ASC 378 Company which was 11 MAC (11 Motor Ambulance Convoy) from July to December 1915 and whilst there he was run over by a car which apparently started his health problems. He seems to have got appendicitis following the accident on 10 November 1915 and was attended by the doctor for 11 MAC and later was sent to Stationary Hospital in France, but whether this was for the accident or the appendicitis is not clear. David was sent to King George Hospital London for an appendisectomy and then on 10 November 1915 to Woodcote Convalescent Hospital in Epsom where he suffered from iliac pain from a hyperactive nerve. He left there in February 1916 and was considered fit for overseas service. In April 1916 he returned to the BEF serving with ASC 908 Convoy - 36 MAC. David was admitted 2nd Birmingham War Hospital on 11 September 1916 as he still had pain and his abdomen was opened but nothing was found so he was discharged on 19 December 1916 and was in England until 31 October 1917 when he was posted to Italy with 908 Convoy- 36 MAC (Motor Ambulance Convoy) he was in Italy until April 1919 and served latterly at the Base MT Depot of the RASC. Possibly 2nd Base Depot at Arquata, Italy (62 miles south of Turin), where on 11 April, a Medical Board reviewed David’s “internal injury” (Appendicitis and Hernia) which was deemed to be 20% attributable to his military service and he was granted a conditional six month pension of 5s 6d from 28 May 1919 the day after his demobilisation into Class Z Army Reserve. In September 1919 he received an additional 2s per week in respect of his wife. Unfortunately David continued to suffer with abdominal and chest pain when walking quickly and bad weather affected him in other ways. On 15 October 1919 his case was reviewed and his condition was deemed to be in a final stationary condition (symptoms as already mentioned) and he was classed as Gii. In November 1919 the pension expired and David was granted a gratuity of £32 10s, rather than the pension. David had married Fanny Shepherd in Worcester area on 24 February 1916 and their home address was Fair View , East Comer, described on the 1918 Electoral Roll, as, 4 East Comer, Worcester. David’s medal card shows he received the Victory and British War medals. Service No. S/306773, Army Service Corps, 3 Co., 29 D.T. 1889-1961 Martin was born in Worcester and at the time he attested he was a butcher living in Westgate on Sea, Essex. It seems that he was in the Army Reserve until he was mobilised in February 1917 when his home address was 11 Comer Gardens St John’s. Martin joined the 227th Co RASC. The ASC as it was known until 1918, has been justly called the unsung hero of WWI, thanks to its organisational skills it supplied the armed forces with food, equipment and ammunition. A note in the margin of Martin’s military record states “Group 7 Butcher”. In April 1917 he was sent to France on the SS Huntscraft, a ship which was used on the regular supply run from Southampton to Le Havre. He was briefly at the ASC base depot H T & S (Horse Transport and Supply Corps) and was then posted to 29th Divisional Train 3 Coy. The Train moved with the Division and carried stores and supplies. There is more information on where he served but it is not easy to read. He was admitted to hospital with scabies on 5 January 1918 and “discharged to unit” on the 26th. In April he was deprived of a day’s pay because he took 20 mins before he carried out orders to guide lorries into camp. Two weeks leave was granted on 28th November 1918 and on 28thJune he went to the Disposal Camp at Solingen in Germany for demobilisation. The Electoral roll for 1918 shows he lived at Croyden Villas, 3 Comer Gardens. Alfred was born in Kidderminster c. 1876 and married Amy Elizabeth in 1906. In the Census of 1911, they had one son, Alfred, and lived at 173 Henwick Road, Worcester. Alfred was a commercial traveller in the Woollen industry. (The 1891 Census showed that Alfred had 2 sisters, and his widowed mother worked as a carpet weaver. As his name is not recorded in the Parish Magazine before June 1918, it is possible that Albert did not enrol until that year. No medal card or service history can be found. This soldier is first noted in the Parish Magazine of January 1916. He may have been Arthur, step brother of Francis J Ross, of Greenhill Terrace, Broadheath. Service Nos. 48118, 6th/10th Worcestershire Regt and 31321 Devonshire Regt. Francis John Ross was born 1886 and died in 1955. On the 1901 census he is shown as Francis John Ross a stepson of John Callow and his wife Ellen. By 1911 he is using the surname Callow and is shown as a market gardener’s labourer reported to be aged 23. Frank’s full military record has not survived, but both the Worcestershire Regiment database and the Medal Card Index list him as Private Frank Callow. A “Sick and Wounded” list for BEF at Doullens, France, dated April 8 1918 has survived and Frank was hospitalised with eczema in the 3rd Canadian Stationary Hospital awaiting transfer to base. The form states that he was with the Devonshire Regt. If he was serving with 1st Battalion he would have only arrived in France from Italy the day before. Mentioned in Parish Magazine November/December 1918, Frank lived at 45 Comer Gardens. (AVL 1918). He is believed to have married Elizabeth J Millin in the preceding year under the name of Francis J R Callow. When Frank died in 1955 his death was registered as Francis J Ross-Callow. (He was awarded the Victory & British War medals). Killed in action – Missing presumed dead in 1917. Robert Henry Gilbert Chambers was born 28 June 1893 in Comer Gardens, the son of Robert and Lydia Chambers. Robert Senior was a cooper and the younger Robert was known as Gilbert. In 1911 the family were living at 217 Hylton Road and young Gilbert was a butcher’s assistant. The Parish news for September 1914 shows him serving on HMS Hampshire. Gilbert was a Lance Corporal in the 2nd Royal Marine Battalion, who in 1917 was declared missing presumed dead. He is commemorated on the Arras Memorial, France Bay 1. 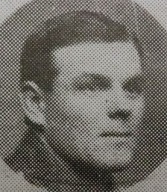 NB: The photograph shown above is captioned only as Pte Chambers, so we are unable to establish whether this is Robert Chambers, who was reported as missing, presumed dead, or Albert Chambers of Lwr. Broadheath. Noted in the Parish Magazines of September and October 1914 as being in the Worc Yeomanry. The Parish Magazine of April 1915 and Absent Voters List states Albert is a Prisoner of War. Also gives Corps of Hussars Service Number whilst in Worcs Yeomanry. Lived at 34 Comer Gardens. Brother to Frederick, noted below. Killed in action, November 1918. First noted in the Parish Magazine of April 1915. Killed in action (Parish News Nov 1918). Lived at 34 Comer Gardens. Brother of Albert, above. Thomas John Dixon was born on 25 July 1894 in Worcester. His occupation was as a porter when he joined the Royal Navy for 12 years on 27 July 1912. He became a Stoker Class II rating attached the land depot HMS Victory II and became a Stoker Class I on HMS Naiad – an Apollo Class cruiser. From 8 November 1913 until 23 January 1916 Thomas served on board HMS George V and this was mentioned in the Parish magazine for September 1914. On 31 May 31- 1 June HMS George V as the lead ship of 1st Division of the 2nd Battle Squadron she took part in the Battle of Jutland and was not damaged. Thomas spent nearly three months on board HMS Lupin a Flower Class sloop which at that time was a mine sweeper. From 25 November 1917 until 1 January 1918 Thomas was on board HMS Minerva, probably in the Indian Ocean. It’s not clear known what happened to Thomas after this. Recorded in the Parish Magazine of March 1918 – no other information found. Brother to Sidney and Stephen, below. Abiathar’s military record has not survived. Service No. 5296, 30th Company Army Ordnance Corps. Sidney Edmund T Dunn 1886 -1945 was living at 9 Comer Gardens, a blacksmith by trade, (like his father, Edmund) he enlisted on 9 March 1915 at the Guildhall Recruiting Office 42 High Street, Worcester. He married Mary Annie Reeves in 1909 and had two daughters, Beatrice (born at Broadheath in 1912) and Edith (born at Comer Gardens in 1914). His Certificate of Trade was signed on 10 March 1915 by Joseph Southall, the Managing Director of Hardy & Padmore, Worcester Foundry and he classified Sidney as a Very Good 2nd Class Blacksmith. On 15 March Sidney was tested again at the Workshops of the Ordnance College at Woolwich and proved as a 2nd Class (skilled) Blacksmith. 182 days after enlisting Sidney was discharged on 6 September 1915 from No 2 Section RAOC, Tidworth, as medically unfit (catarrhal bronchitis), His address was given as Camp Lane, Hallow. Sidney was granted a gratuity of £15 and because the condition had been aggravated by his work as a blacksmith for the Army, Sidney was awarded a pension of 5s 6d a week from late September 1917 to 20 June 1919 and the same again from that date for 52 weeks, plus an allowance of 1s 10d a week from 23 September 1917 to 30 April 1918 and then the same again until1 May 1918, for his children. The letter Sidney wrote asking if he was entitled to a Silver badge as he had served for 182 days before he was discharged as medically unfit, is in his Army file. The badge and certificate were sent to him in September 1917, together with typed instructions on how it should be worn - either on the right breast or the right lapel of a civilian jacket. By now Sidney was living in St Martins Gate, Worcester. Brother to Abiathar (above) and Stephen (below). Stephen Dunn, born in 1896, a fitter by trade joined the Royal Tank Corps. The RTC Enlistment Records state that he had been in the Worcestershire Yeomanry and when he enlisted in the RTC on 19 December 1921 he had the Service Number 541902. He was transferred on 1 April 1922 to the Worcester & Oxford Brigade of the RFA. His next of kin was his mother Mrs Ellen Dunn who by then living in Comer Gardens. Edmund and Ellen Dunn had nine surviving children and two of Stephen’s brothers, Sidney born 1886 and Abiather born 1899 (noted above) served in the Army. A.S.C., M.T., 2nd Div. M.T. Co.
Ernest Richard Edwards was born in 1884 in Worcester. His parents were William and Sarah Edwards. His father died about 1887 and his mother and large family lived at 36 Tallow Hill. At the time of the 1911 census Ernest, a china kilnman was living with his wife Beatrice Edwards nee Dunn at 8 Comer Gardens, which was part of Hallow for electoral purposes. Unfortunately Ernest’s Army Service record has not survived and his name cannot be found on the medal card index. Frederick George Farmer was born in 1896, a printer by trade and one of the sons of William Edward and Mary Emma Farmer. William worked as a housepainter and in 1918 as a Railway Carriage painter, they lived in Comer Gardens. Frederick enlisted on 15 November 1915 when he was 20 years old and living at 5 Farley Street. He joined the 14th Battalion of the Worcestershire Regiment at some point transferring to the 2/8 Worcs Regiment. Unfortunately only part of his military record has survived. Frederick was appointed unpaid Lance Corporal on the 6 December of that year. In May 1916 he was appointed paid Lance Corporal and again after a period unpaid as Corporal he received his paid promotion on 20 October 1916. He was demobilised to Class Z when he was entitled to wear two blue chevrons for service overseas and his Army records shows that his character was Very Good, that does not mean that his conduct sheet was completely clear, he was reprimanded for neglect of duty on two occasions whilst a corporal, once when he was Orderly Sergeant and on another occasion when he was in charge of the Ration Party. Frederick was on furlough from 9 to 19 February 1918 as a result of having received a 2nd gunshot wound to his left hand. He was awarded the British War Medal and the Victory Medal. There is a letter on Frederick’s file concerning the death of his mother in 1918 which identifies his brother as Walter who had the Service Number 277704, see below. Walter Joseph Farmer was the second eldest son of William Edward and Mary Emma Farmer who lived in Farley Street. At the time of the 1911 census he was working as a labourer in “motor garage”. It seems that his Army record has not survived and it is only because he is mentioned in his brother Frederick’s Army file that it has been possible to find out with which regiments he served. He was first in the Worcestershire Regiment with Service Number 2554, he later transferred to the Durham Light Infantry Service Number 277704 (as mentioned about him in brother’s file) and finally with the Army Ordnance Corps S/11246. Nothing more is known at present, although it is possible that he was the Walter Joseph Farmer whose Army medical record was placed in William Bourne Farmer’s Army file and caused such confusion (see below). Recorded as being in service, Parish Magazine of November 1914 – no other information found. Frank - re-enlisted as Frances James (February 1910) – FAWDRY, Private. Killed in action 30th or 31st October, 1914. Service Nos. 5027 and 11571, Worcs Regiment / 1st Battalion South Wales Borderers. Born in Hallow, Frank's trade was a skinner. He was the son of James and Mary E. Fawdry of 3 Mill Walk, East Comer, Worcester. He enlisted October 1897 in Worcester, and his records on CWGC show that he served in the South African campaign. Frank had many punishments during this service for drunkenness (fined 10 shillings plus 5 shillings costs) for being drunk and disorderly in Methyr Tydfil, being late for Tattoo, late back for duty, etc., and was discharged in July 1909. He re-enlisted again under his full name of Francis James Fawdry in Brecon February 1910. He was killed in action at Ypres on 30th or 31st October 1914 aged 38 and is commemorated on Ypres (Menin Gate) memorial panel 22. Brother to Thomas and George, detailed below. Thomas Henry Fawdry 1881 – 1958, was born in St Clements in the St Johns area of Worcester in about 1881 and was another of James and Mary Fawdry’s sons who served in WWI. Thomas married Jane Causier from Grimley in 1908. They seem to have had four children between 1911 and 1922. Jane lived in Mill Walk, Comer Gardens whilst Thomas was in the Army. Thomas was a housepainter when he attested on 11 December 1915. He was mobilised on the 9 June 1916 and on that day he had a medical at the Public Hall in Worcester. He was 5ft 8ins tall, but only weighed 105lb. His physical development was poor and he suffered from varicose veins. He was classed as C1 suitable for Home Service. This is reflected in his service record. Thomas suffered from mucous colitis and after demobilisation on 9 April 1919 an Army Medical Board considered that he was entitled to an award for 46 weeks of an allowance of 7s 10d including a children’s allowance. It is not clear if this was back- dated. (Brother to Frances and George, above). Charles Henry Frowd was born in 1893 at Severn Stoke, Worcestershire. At the time of the 1911 census he was with his father also Charles Henry, a market gardener, his sister Elizabeth and niece, Winifred at 6 Comer Gardens. (His mother Annie was a patient at Powick Hospital). Charles' Army service record has not survived, but his medal card states that he was awarded the 1915 Star, British War & Victory Medals. James was born in St. John's, Worcester 1877 and he married Helen Beatrice Yeates in 1904. The 1911 Census stated he was a Merchants Clerk, and they lived at Kingswood, 169 Henwick Road, Worcester. James' parents were George (a farmer) and Emma and in 1881 they lived at Earls Court, St John's. There were 3 daughters, and two sons (inc. James) and two general servants. James attested on 10 December 1915 and was placed in the Reserves, he was mobilised on 21 August 1917. Following his attestation he had been classed in Medical Category BII “for slight flat feet”. He was enlisted into the Worcestershire Regiment in accordance with a letter sent by Colonel Benson, the Regimental Paymaster, Warwick to the Recruiting Officer at Worcester. James would be on probation with the Army Pay Corps and the Worcestershire Regiment should send James to the Warwick Office on probationary duty. James was made a Corporal on 21 August 1918. On 27 October he caught influenza and spent 11 days in Warwick Military Hospital. He proceeded to the Dispersal Station 17 February 1919 and was transferred to the Reserves on 19 March 1919. His death is registered 4th June 1951 at the Worcester Royal Infirmary. He was 74 yrs old. Service No. S4/143573, Army Service Corps, Comd Depot E.E.F. Gilbert was born in Worcester c. 1898, son of Thomas and Sarah. Thomas was a warehouseman at a China Works. There were three daughters and four sons, and Gilbert was the second eldest boy. The family lived at Jubilee Villas, Hylton Road, Worcester (Census 1911). Gilbert is mentioned in the Parish Magazine of April 1916 and therefore may have enlisted at that time. The Absent Voters List of 1918 gave his address as 233 Henwick Road, Worcester. He was awarded the Victory & British War medals. No other records can be found. Brother Henry is shown below. Henry was born in Worcester c. 1900 to Thomas (a warehouseman at a China Works) and Sarah. They had eight children. In 1911 three daughters, and four sons were living at Jubilee Villas, Hylton Road, Worcester. Henry's name appeared in the Parish Magazine for April/May 1918 so he may have enlisted about that time. His death was registered in Birmingham, but he died in Worcester 22 May 1938. His probate record gave his address as 18 Dorothy Crescent, Worcester, and named 'Frances Harris and Sarah Ann Harris widows.' No other records have been found. Brother Gilbert is shown above. Worcs. Regiment./Royal Engineers/Somerset L.I./York L.I./R.E. This might be Thomas James who was born in Worcester c. 1885. His mother Annie was a widow, and he had one sister. They lived at 16 Pitmaston Road, St John's, Worcester (Census 1911). He may have enlisted about August 1915 as this was when his name first appeared in the Parish Magazine. If the service medal card is correct, he is shown as starting his service in October 1915, and Thomas was awarded the 1915 Star, Victory & British War medals. Service No. M2/103657, Army Service Corps/Motor Transport Div. Charles enlisted 2 June 1915 - he was just 22 yrs (born 1893) and lived at Comer Lodge, Comer, Worcester. He worked as a motor engineer. He was married to Alice Ethel Caldwell at the Parish Church in Malvern Link, 1915 and gave his father's name as next of kin, i.e. Charles James Holliday. He was sent to France with the Expeditionary Force in August 1915 until March 1916, when he returned to the UK. He was discharged as being medically unfit for war service 28 June 1916. He was suffering from anaemia and debility 'chiefly in the opinion of the results of dysentry'. He had been trated in two hospitals, the 2nd Australian General and the 1st Southern General. He received the Victory, British War medals and the 1915 Star. 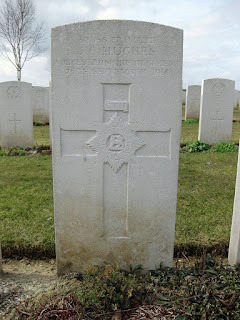 Ernest Hughes born 1898 was one of the sons of Henry William and Ellen Maria Hughes of Broadheath Common and was aged 18 years 10 months when he attested in to the Territorial Forces on 30 September 1914. He was initially allocated the Service Number 2560 and later a permanent number of 830648. He was attached to 2nd and later the 1st South Midlands (HS) Brigade RFA as a Driver. For more of his research, click here. Brother to Fred, Harold & Reginald, below. Fred was born in 1892 one of the six sons of Henry William and Ellen Maria Hughes nee Pope. At the time of the 1911 census they were living at Rose Cottage, Little Common, Broadheath, later they moved to 30 Comer Gardens. Fred’s military record has not been found but his medal card records that he enlisted 3 July 1915 and he served in the Balkans. He was awarded the 1915 Star, British War and Victory medals. Service No. 52356, 1st/2nd Worcs Regt. Reginald John Charles Hughes was born in 1899, his parents were William Henry and Ellen Maria Hughes who had six sons, five of whom are known to have served in WWI - Ernest and Fred survived whilst Harold, James and Reginald died. The family lived at Rose Cottage, Little Common, Broadheath in 1911 and later moved to 30 Comer Gardens. There is some confusion in on-line databases about this soldier, but "The Worcestershire Regiment in the Great War by Captain H Fitz M Stacke" confirms that Reginald was in the 2nd Bttn when he died in France on 25 September 1918. This is backed up by his brother Ernest's service record that states that three of his brothers had died, (his file shows that this was verified during the war by the police). The Hughes family are also mentioned in the Berrows Worcester Journal. The Parish Magazine for May 1919 also notes Reginald's death, but does not give any further information. Reginald is buried in Grave III. B6 at Villers Hill Cemetery, Villers Guislain about 9 miles from Cambrai under the correct service number with the name of John Charles Hughes. His first name Reginald has been omitted. Although the Commonwealth War Graves Commission website indicates that his place of birth was Nether Compton, the 1911 census form completed by Reginald's father shows he was born at Tolladine, near Worcester which is also confirmed by his General Registrar Office's birth registration in the Droitwich district. Brother to Ernest, Fred and Harold, above. Albert Edward Hundley, a butcher’s worker, was born on 28 December 1892 one of the sons of Walter and Martha Hundley nee Ody, who at the time of the 1911 census were living in Cheshire Cheese Entry in the Foregate, Worcester. Albert joined the Royal Navy for 12 years on 7 August 1912, By the start of the War Albert was a stoker on board HMS Superb which was a Bellerophon class Dreadnought. Albert remained with her until 17 April 1916. Following a period attached to the land-base HMS Victory II, Albert joined the Lion-class Battle-cruiser HMS Princess Royal on 8 November 1916. Earlier in the year she had taken part in the Battle of Jutland, the damage being repaired at Rosyth. Subsequently HMS Princess Royal was involved in patrolling the North Sea until the end of the War. Albert was granted the War Gratuity. He became an Acting Leading Stoker on 17 June 1918 and was promoted to Leading Stoker in the December. Albert completed his 12 years service in 1924. Walter William Charles HUNDLEY, Royal Marines. Walter was posted to the HMS Monitor 23 in October 1915 which had been launched in July of the same year and had been intended for shore bombardment. Walter remained with M23 until 30 September 1918, by which time the designation “M23” had been given to his former ship HMS Glory. During the period October 1915 to June 1917 M23 served in Egyptian waters, East Indies (Bitter Lakes) and Suez Canal. From June to September 1918 M23 was in the Dover area. Walter was next attached to M25 until September 1919, so saw out his war-time service on that ship patrolling the White Sea. In December 1919 he was with Portsmouth Division and Walter served as Royal Marine until 27 May 1920 when he was invalided out of the service. His home address was given as 8 Infirmary Walk, Worcester. An Absent Voters List noted William away on war work. He lived at 64 Comer Gardens – no other information is known. Harold was born c. 14 May 1891 to Thomas (a market gardener) and Clara who lived at East Comer (Census 1901). There were two other sons, and one daughter. In 1911, the family lived at Gordon Villa, 277 Upper Henwick Road, Worcester - Thomas was a florist, and Harold was a gardener. He married Gertrude Mary Brown of Worcester in July 1913, and they had one child in November 1914. In December 1915, Harold's address was Crown Inn, Friar Street, Worcester and he was a licensed victualler. He attested in December 1915, and enlisted August 1916, when he was sent to France as a Gunner. In 1917 and 1918 he served in Italy (promoted at this time to Bombardier), finally being demobbed in March 1919 having been promoted to the rank of Corporal. October 26, 1918 he was mentioned in dispatches from General F. R. Earl of Cavan. He was awarded the British War and Victory medals. Harold died September 1979 aged 88. Henry was born in Hallow in 1883. His father Thomas was an agricultural labourer (Census 1891) and his mother was Clara. Henry was the eldest son of a family of three boys and one girl. In 1901, Henry was a Civil Engineer Clerk, and by 1911 was a draughtsman. In the Census of 1911, he was living at Abbotsmead, 5 Cyril Road, Worcester with his wife Mary and 4 month old daughter. He enlisted in Worcester, and was killed in action in Mesopotamia as part of the Asiatic Theatre, 25th January 1917. He was awarded the British War and Victory medals. He is buried in Amara War Cemetery, Iraq, Grave XIX. F. 9. Sidney J. JOHNSON, Corporal / Sgt. Sidney Johnson was born in 1894, the son of Frederick and May Johnson of 202 Henwick Road. He joined the Territorial Forces for 4 years as gunner in the RFA (T)[ Reserves] 1st Worcester Battery on 9 December 1912 and was promoted to Corporal in July 1913. He attended the annual camp 2nd South Midland Brigade at Salisbury on the 3 August 1913. As a member of the Territorial Force, Sidney undertook a 12 day course from 1-13 June 1914 at Bulford Camp in Riding, Gunnery, and Stable Management. His record showed “Very Good” for Conduct, Industry and General Proficiency in the subjects of the course. Sidney was a compositor working for Mr. Cook in Foregate Street, Worcester when, on 5th August 1914, he was mobilised as a Corporal with 1st Battery 2nd South Midland Brigade RFA which became 241 Brigade http://www.denniscorbett.com/241.html and by 2 October 1914 he was at the garrison at Parkhurst on the Isle of Wight. Sidney’s Conduct Sheet showed four misdemeanours, none requiring more than a severe reprimand and they didn’t prevent him being promoted to Sergeant on 28 Nov 1914. In July 1916 he undertook a 5 day Anti gas course. Sidney was posted to with 241 Brigade to France from 30 March 1915 to 21 November 1917. He seems to have served with D Battery, which had formally been the Warwickshire Heavy Howitzers. Sidney was demobilised into the Reserves on 20 January 1919 and was finally discharged on 18 January 1919. Sidney was awarded the 1914-15 Star, the British War and Victory medals. In response to a letter that Sidney wrote in July 1935 from the Police Station, Romsley, Birmingham, the Director of “Personal Services” wrote to say that in order to qualify for the Territorial Efficiency Medal he needed 12 years continuous service and as he had - including reckoning his period of embodied service as double - 11 years 339 days, he was ineligible for the Medal. Edward was born in Abingdon c. 1887 to George Edward (a sawyer at a saw mill) and Jane - they lived at Steventon, Berks. At this time there was only Edward and daughter, Mina. In 1901, George was an engine driver, and the family had grown to three sons and a daughter, and they lived at Farley Street (later moving to 13 Vincent Road), Worcester. Edward was an errand boy. In the 1911 Census, the family lived at 38 Comer Gardens, Worcester and Edward was now a Railway fireman. He married Mabel Bradley in 1916. His name first appeared in the Parish magazine of March 1919, so he may have enlisted around that time - unfortunately his medal record card did not indicate when he joined as a Sapper, only that he received the British War and Victory medals. Edward died in Autumn 1972 aged 85. Raymond’s Regimental Conduct sheet lists misdemeanours one of which gives some indication of discipline “in the field”. He was awarded 14 days “Confined to barracks”, as a punishment for “not complying with camp orders viz placing debris of his food on dining Hall table”. He served in France until May 1919. On leaving the army he gave his address as Richmond Road, Worcester. He was awarded the British and Victory medals. He returned to the railway as an engineman, and worked until his retirement in 1956. He died in the Spring of 1981 aged 87 (registered Stratford on Avon). Sidney was born in Worcester c. 1895 to George Edward (an engine driver) and Jane. They lived at Farley Street (later moving to 13 Vincent Road), Worcester with their other two sons and daughter (Census 1901). In 1910, Sydney worked as a cleaner at Worcester Station with the Gt Western Railway. He enlisted March 1915 and was killed in action as part of the Western European Theatre, France and Flanders, 11 September 1917 aged 22. He is buried in Vlamertinghe New Military Cemetery, Belgium, Grave XI.H.5.PN May 1919. Service No. 48250, 7th (Reserve), 9th Btn Worcs Regt. Arthur Edward Martin was born in 1888 the son of Charles Martin a general labourer born in Claines. By 1917 Arthur was a shop manager in Swansea and gave his father Charles, who lived at 16 East Comer, within Hallow parish, as his next of kin. Arthur was a bachelor and enlisted at Swansea and joined the 6th / 9th Worcestershire Regiment on 3 August 1917 at Norton Barracks. Arthur was classed in medical category A1. Arthur embarked from Devonport on 7 October 1917 and landed at Bombay, India on 26 November. He arrived at Belgaum camp the following day. This appears to have been a prison camp. http://www.archive.org/stream/reportsonbritish00inteuoft#page/34/mode/2up and saw service with the 9th Battalion Worcestershire Regiment in the No 7 Reserve Battalion (India). On 21 March 1918 he was caught talking on the Commanding Officer’s Parade and was confined to barracks for three days. 17 December 1918 saw Arthur proceed to Kirkee (Khadki) and in the following April he spent 11 days in hospital suffering from a boil near his left knee. He recovered, the less fortunate were buried at the Kirkee War Cemetery. The Kirkee War Memorial remembers the 1800 servicemen who died in India and Pakistan in WWI and are buried in cemeteries that can no longer be maintained. At some point Arthur was classed as medical category B2 and he was demobilised to Class Z Army Reserve on 11 February 1920. William Fulford Maxted was born in Hednesford Staffordshire and in 1911 was living with his parents Arthur and Alice and his four sisters. He enlisted in the Royal Flying Corps as a Driver on 13 June 1916. Later in the same year he married Gladys E Moreton from Leigh Hurst School, Bransford, Worcs, where her father was headmaster. In the 1920’s they had three children in the Tamworth registration District. Nothing more is known at the moment about William’s wartime service. William was born c. 1878 in Selly Oak. He married Elizabeth Mary of Tewkesbury in 1907, and at the time of enlisting in February 1917, they had one daughter, and lived at 183 Henwick Road, Worcester. William worked as an Estate Agent's Clerk and Auctioneer. His service record stated he had previously served from 1898 for 4 years in the Worcester Artillery. He was promoted from Private to Acting Corporal in August 1917. His medical report showed that he had arthritis, and he was not posted abroad - he may have served his time based at Fulford until being demobbed in July 1919. His medal card cannot be found. Edmund was born in Ombersley 1881, son of Frederick and Sarah Norman. John was a tailor by trade when he married Margaret Emma Matthews from Martley on 15 June 1909. They were living in Newtown Ledbury on 2 April when the 1911 census was taken and 12 days later their son Stanley John was born. John was living at 40 Comer Gardens with his family when he originally attested into the Army on 1 November 1916, but was transferred as Air Mechanic 3rd class (3 A/M) to the RFC (Royal Flying Corps) on 11 September 1917. At the beginning of the following year he was 2 A/M, but in April 1918 became an RAF Clerk 2 (27954). John was reclassified as a Clerk 1 on 30 November 1918 and was a storeman at No 3 Stores Depot at RAF Milton, Berkshire possibly until he transferred to the RAF Reserves in 1919. John was demobbed on 30 April 1920. Service Nos. 3/10206, 3rd Suffolk Regt. James Oliver was born in 1870 and married Mary Maria Crump at St Clements church on 29 November 1899. They had two children of their own, Nellie and Arthur, and adopted May who was born in 1905. His Army Service records showed his home address as 5 Court Hylton Road. James attested at Felixstowe on 2 October 1914 for Short Service of one year with the colours and duly made his mark. He had previously served with the 1 Suffolk Regiment (SN 682) – “Time expired”. James was posted to the 3 Suffolk Regiment on 9 October 1914 and then to the Depot in November. He was discharged as a re-enlisted man whose service was no longer required on 13 December 1915. He served for 1 year and 73 days in the UK. Harry was possibly from the Comer Gardens area. His name first appeared in the January 1916 edition of the Parish Magazine. It was reported in the May edition, 1919 that he had died in action. Frederick was born in Wichenford, Worcs. c. 1888, the son of William (a waterworks labourer) and Ann Pugh, and in 1911 they lived at 5 Hylton Road, Worcester. At that time there were 6 children. Frederick was a house painter, and he married Ethel Sarah Harris at St. Clements Church, Worcester 21 June 1913. They lived at Rockwell, Henwick Road, Worcester. (Ethel is later recorded as living at 37 Lechmere Crescent, Hallow Road, Worcester). He enlisted October 1915, and was killed in action (France and Flanders) 18th September 1917 aged 30. He is buried in Ypres Reservoir Cemetery, Belgium, Grave I. E. 18. Frederick was awarded the 1915 Star. David was born in Birmingham c. 1881 - his father, also David, was a musician, and his mother was Sarah nee Hill. There were 6 children recorded on the Census of 1901, and they lived at 144 Latimer Street, Birmingham, where they were also recorded in 1891. David was on the Census of 1911 and lived at 7 Himbleton Road, Worcester, working as an Elementary School Teacher. He was married, but his wife was not at home. She is believed to have been Alice Edith nee Faulkner but cannot find a record of the marriage or his wife's name. David's medal card showed that he enlisted in July 1917 and served in France. He was awarded the Victory and British War medals. His name is also on the Absent Voters List of 1918. David participated in the Peace Parade in Worcester on 8 July 1919. Detachments of all battalions of the Worcestershire Regiment were present together with representatives from the Royal Navy, Territorial Forces, Worcs Yeomanry, Volunteers, WAAC, VAD’s; Land Girls, plus other women’s organisations. Lieutenant David Rabjohns was part of the contingent from the 8th Battalion. Page 513 of Captain H FitzM Stacke’s “The Worcestershire Regiment in the Great War” describes the Peace Parade. David was listed in the National Union of Teachers War Record for 1920 as a member of the NUT in Worcester City. Russell was born in Leeds c. 1887. His father John was an Inland Revenue Officer. (Unable to ascertain the name of his mother, may have been Emma Jane). On the Census of 1891, Russell was with his grandparents at Station Road, Madeley, Shropshire, and in 1901 the family of father, 5 children and a housekeeper lived at Green Hill, Worcester. On the Census of 1911, Russell was a boarder, living at 10 Milton Avenue, Highgate, London and he was an Elementary School Master. In the Kelly's Trade Directory of 1916, Russell was living at 177 Henwick Road, St. John's, Worcester. His name is on the Absent Voters List for 1918. He was awarded the Victory and British War medals. Russell married Lilian Cunningham in 1919 and in 1922 they were in the party of 20 people who sailed to Boston as “ Worcester Football Team Party”. Russell was the Head of the Boy’s Department at Stanley Road School in Worcester from 1929 to 1944. He seems to have died in Suffolk in 1960. Service No. 117273, Royal Flying Corps / RAF 17 Bat. Co.
Albert Ratcliffe was born in 1884, one of the sons of Thomas and Jane Ratcliffe nee Mason who in the 1901 census were living at Newbury, Cotheridge. Jane was a widow by 1911 and living in Barbourne Road with nine of her eleven children. Albert was a leather dyer at that time. He married Laura Rutter in March 1913 and they had four children. Albert attested in 1916 and gave his civilian occupation as a chauffeur, the family were living at Arundel Villa, East Comer. Albert’s service record showed that he was in France from 9 March 1916 to 2 February 1919. In 1916 he was with 3 Brigade which had been formed in January of that year. Albert was wounded 8 June 1917 and was admitted to 8th General Hospital in Rouen. He was at the Candas Depot 13 June 1917. It is not clear why his gunshot wound is mentioned in relation to this Candas supply and repair depot. There is no further information about the wound and his Casualty Card was destroyed on 4 January 1921. Albert was transferred to the new RAF 1 April 1918 and left France on 2 February 1919. After the War was Albert was transferred to RAF Reserve on 30 April 1920. He was awarded the British War Medal and the Victory Medal. He died in 1953. Edward Austin Ricketts was born on 27 October 1901 the eldest son of Ernest and Alice Ricketts nee Finn who were living at 55 Comer Gardens at the time of the 1911 census. Edward is mentioned in the Intercessory prayers in the Parish Magazine for February 1918. As Edward would have been under age in 1918 and neither the Worcestershire Regiment website or the Imperial War Museum Digital Memorial has a record for him, it is not clear if he actually served during WWI. Edward married Gertrude Robinson in 1929 and he died in 1982 in the Worcester area. Ernest was born in 1897 the youngest of the four children of William and Elizabeth Rigby nee Finn. William was an electrician and the family lived in Mill Walk, East Comer. Ernest’s Army Service Record does not seem to have survived but his medal card shows that he was awarded the British War and Victory medals. We have no further information at the moment. Service No. D.M.2/130040, 8th Worcs Rgt / ASC 605 MT Co.
William’s attachment to Reinforcements HQ meant that his daily pay increased by 3d in October 1918. He was transferred a couple of times up to December 1918 and on 10 February 1919 was Classed as BII (Labour Service abroad) and embarked for the hospital at Chanak(i). Perhaps this one - http://nam.recollect.co.nz/nodes/view/4372 -where he remained for 4 months, before embarking for the UK on 7 June 1919. No further medical records have survived, although there is written faintly - Service No 168285 and Mil? Chen? He transferred to Class Z Army Reserve on demobilisation on 22 July 1919 when his home address was given as 1 East Comer William acknowledged receipt of his British War Medal and Victory Medal in 1922 and quoted his Service Number as 663663 and “Unit N L N “. William was born in Hallow c. 1898. His father, John was a self employed market gardener, and his mother Harriet was a greengrocer. They had 5 children in all, but only 4 had survived (Census 1901) and the family lived at 9 Hylton Road, Worcester. By 1911, they had moved to 4 Oldbury Road, Worcester. William's name first appears in the Parish Magazine for August 1916 so he may have enlisted about that time, but his service number is not known and therefore no other information has been found. Ralph ROBBINS, 8th Worcester Regt. There is no trace on the Worcestershire Regiment database or Imperial War Museum Digital Memorial. This possibly could be Ralph Edgar J Robbins born in Claines in 1895 living with his parents James and Mary Robbins nee Jones in Blackwell Street, Kidderminster in 1901 and a servant of John Jones, a farmer at Spring Valley Farm, Quatford near Bridgenorth, Shropshire in 1911. Could he have been drafted into the Labour Corps after his Medical? If so his service number was 346942. The record card for this number shows an enlistment date of 9.11.14 and discharge date of 13.4.19 - no other information is given re. medals. Arthur William Sherriff was born in 1883 in Worcester. On the 1911 census he is the eldest of the four sons (three lived at home) of Charles and Annie Sherriff of 15 Farley Street, Comer Gardens. His occupation was shown as Shed man, Tram Company. Four of their sons served in WWI. Arthur’s Army Service Record has not survived but there is a record of his name on a damaged list of the sick and wounded (no date). He appears to have had scabies which is a contagious skin disease caused by mites. It was a common ailment for serving soldiers. Arthur was awarded the British War and Victory medals. Albert Edward was another of Charles and Annie Sherriff’s three sons who were at home in Farley Street at the time of the 1911 census. His occupation was as a Horticultural labourer. (Charles and Annie had six surviving children in 1911). Albert’s Army Service record has not survived. He first appears for Intercessory Prayers n January 1917 Parish Magazine. As his Army Service Record has not survived the only information we have is from the Medal Card Index which shows he received the British War and Victory medals. Frederick Charles Sherriff was born in 1874 in Worcester the eldest son of Charles and Annie Sherriff who in 1911 lived at 15 Farley Street. Frederick was living in Higham near Nuneaton, Leicestershire in 1911 with Emma and their four children. His occupation was copper smith. Frederick’s Army Service Record has not survived and the only information we have is from the Medal Card Index which shows that he served from 8.9.14 and received the British War and Victory medals. Harry was born in 1890 and on the 1911 census his occupation was given as a Horticultural labourer. He was living with his parents at 15 Farley Street with two of his three brothers who served in WWI. Harry married Charlotte Allso in 1912 and they had a daughter Mabel in 1915 . Harry is first mentioned in the January 1917 Parish Magazine. The edition of May 1919 reported that he had died aged 27 in a London hospital from wounds received in action in France. (The Remember The Fallen website and GWGC state that Harry died in Devenport.) He was buried in St John's Cemetery, grave 4601. His occupation was given as ' soldier' and he lived at Lower James Street, St Pauls, Worcester. Samuel is listed in the Parish News of October 1914, but no other information has been found. Herbert Staite was born in Longdon Heath, Worcestershire in 1877 and was in the Army for 12 years from May 1901. He served for nine years as a Gunner in the RFA mainly in the UK (including Ireland), with 2 years in India. He was in the Reserves for a further 3 years. Herbert married Margaret Ann Swindin in Owlerton, Sheffield in December 1905 and they had four children between 1907 and 1916. He was awarded the Military Medal. For more information, click here. Walter was born in 1887 in St Johns, Worcester. He was living with his mother Maria aka Minnie Stokes at 3 Middle Road, St Johns at the time of the 1891 and 1901 census. She was married but his father was away from home, a similar situation applied in 1911 Minnie and her two children Walter and Ethel were living in Chestnut Street. Walter was an Engineer’s Pattern Maker. Walter’s Army Service record has not survived, but it is believed that he enlisted in about January 1916. Although he was at first a private, he was by late December 1917 promoted to 2nd Lieutenant and the Worcestershire Regiment website gives the information that he was attached to the 12th Bttn Norfolk Regiment in an action which resulted in him being awarded the Military Cross. The Parish Magazine offered congratulations and the London Gazette later confirmed by the information in the Supplement of 24 October 1919. The only other information we have is from the Medal Card Index – 1914/15 Star, British War and Victory Medals. Born c. 1864, William was the stepson of James Stokes, a labourer and carthorse driver. His wife was Charlotte. There was another stepson, two sons and three daughters and the family lived in Comer Gardens. The Parish Magazine of September 1914 mentioned William as having enlisted. He was a labourer. No other information can be found. There seem to be three possible Henry Taylor’s - the first is the brother of Sidney Eaton Taylor below, Sidney lived with his wife in Comer Gardens at the time he enlisted. There are other examples where there is a family member in the parish and so the family’s other servicemen who lived elsewhere were remembered in the Parish’s Intercessory Prayers and there is a specific request in the Parish Magazine for those servicemen and women to be included. The other possibles are Henry Taylor of 84 Oldbury Road born in Bishop’s Frome, Hfds. c. 1889 and Harry Charles Taylor, 94 McIntyre Road born in Worcester 1898. Part of Sidney’s Army Record for WWI has survived and shows he had been a grocer. His home address was Brookholding, Comer Gardens, St Johns, Worcester, where he was living with his wife Gertrude nee Lewis and their two children, when he enlisted on 1st June 1916 at the age of nearly 28 years. He joined the 5th Battalion, Worcestershire Regiment and did not go to France until 28 July 1917. He had been appointed to the temporary rank of Lance Corporal whilst on Home Service, but the day before they embarked for France he was reverted to a Private. There is no explanation as to why he was not able to carry the temporary rank to France. A corner of one page of his Army Record has survived that might have contained useful information, any further pages are missing. Sidney was demobbed probably in late February 1919. He was of Good Character and awarded the British and Victory Medals. http://www.worcestershireregiment.com/swb_intro.php. On 10 October 1926 he married Dora Evelyn Woodward at Berkeswell Warwick (where his mother was born). Reginald died in the Hereford area in 1960. Albert Henry Tyler was born on 26 July 1894 in Hallow, one of the six children of George and Mary Tyler who lived in Parkfield Lane. Albert was a Hot Water Fitter and he attested into the RFC on 29 April 1915, the same day as one of his younger brothers, Arthur. Albert’s promotions were as follows: Air Mechanic Class 2 – 29 April 1915; Air Mechanic Class 1 - 1 September 1915; Corporal – 1 May 1916; Sergeant – 1 November 1916; F/Sgt – 1 February 1918. Transferred to the RAF – Chief Mechanic – 1 April 1918. Appointed “Ch Mr M L” – 1 June 1918 (if anyone knows what title this refers to, please let us know). Albert married Dora Elizabeth Clarke 1 January 1919 at Hallow Church and he seems to have remained in the RAF until at 7 June 1921, although elsewhere his record states that he was recalled from indefinite leave on 4 June 1921 and discharged on 28 April 1923 after 8 year’s service. If anyone has any additional information we would be pleased to hear from you. Arthur Tyler was born on the 2 November 1896 in Hallow, one of the six children of George and Mary Tyler who lived in Parkfield Lane, Arthur was, like his brother Albert, a Hot water Fitter and he attested on the same day 29 April 1915 into the RFC. His service number was 5002 and Albert’s 5003. WWI: Arthur’s original RFC service record has survived and show his promotions as an Aero Rigger were as follows: Air Mechanic Class I – 1 August 1916, Corporal – 1 April 1917, Sergeant – 1 February 1918. He transferred to the RAF as a Sergeant Mechanic 1 April 1918 and re-classified as a Sergeant on 1 January 1919. Arthur was transferred to Class E, the Air Force Reserve Section 1 on 1 June 1919. (Parish Magazine information – First mentioned May 1915. Wounded 1916, but later returned to active service. Cpl Mech Sgt - 29 April 1915 to 1 April 1917). The section of Arthur’s service record concerning where he served is as confusing as his brother Albert’s. It indicates he was in France from 16 September 1916 to 23 December 1918 and immediately underneath lists the following: India 16 September 1915, Egypt 26 September 1915 – Awarded 1915 Star and in pencil “War and Victory Medals not yet issued.” (no date). Was the word “France” used as the generic term for service overseas and entitled the servicemen and women to the relevant medals? Arthur was mobilised by Royal proclamation on 8 April 1921 and joined the Andover Reserve Pool. He was re-transferred to Class E Reserve Roll on 6 June of the same year and finally discharged under Kings Regulations Para 292 (xxi) as a Sergeant on 28 April 1923. As both RFC and RFA service records exist it can be seen that although Arthur’s service towards engagement was 8 years, only 4 years 93 days counted as service towards a pension. This information was sent to the Squadron Leader Officer in Charge of Records at RAF Ruislip in Middlesex. Arthur received a 1st Good Conduct Medal in April 1921. He married Gladys Edith Richardson in 1923 and two children are recorded on his RAF record..
WWII: Arthur was re-mustered on 21 October 1938 as “Rigger Aero”, having enlisted in Class E for 4 years from 21 October 1938. This could be John Wall who was born in Worcestershire in 1884, and was living in the Comer Gardens district in 1891. His parents were John (a gardener domestic servant) and Sarah, and there was 1 sister and 2 step-brothers. The Parish Magazine of January 1915 reported John as severely wounded and in a London Hospital. He was awarded the Military Medal and Star of Mons in 1919. Thomas Francis Walters, a gardener, was born in 1890, the son of Tom and Hannah Walters who were living in Dines Green in 1911, which had the postal address of Lower Broadheath at the time. Thomas’ Army Record has not survived so it is not known when he enlisted in the Worcestershire Regiment. It is assumed that Thomas was always in the 1st Bttn the 8th Regiment. He was a Lance Corporal when he was awarded the Military Medal on 26 April 1917. He was subsequently promoted to Sergeant, Thomas was killed in action on 9 October 1917 and is commemorated on Panel 75-77 Tyne Cot Memorial. 20th Divisional Ammunition Column 83366, Royal Field Artillery 74th Brigade. Richard was born in 1896 the eldest of the three sons of Richard and Emily Warren nee Bendall. As previously indicated Richard Warren Senior was the manager of a vinegar works. As he and Emily Bendall married at St Paul’s church in Worcester, Richard may have been the manager of the nearby Hill & Evans Vinegar Works. Recorded in the Parish Magazine of November 1915 – no further information has been found. Harold was registered on the Electoral Roll of 1918. He lived at 30 Comer Gardens - the same address as Hughes, and in 1918 he married Violet Hughes. Harold’s Army Service record has not survived, so we do not know any more about him at the moment. Service Nos. 115657 & 291780, RE Pioneer / Labour Corps, 703 Co.
William Wilkins was a widower who gave his son William Edward born 10 August 1914 as his next of kin c/o 50 Dolday, Worcester. William was a market gardener who joined up on 8 August 1915. He was in the Labour Corps and later served in the Royal Engineers. He embarked for France on 25 August 1915. Two months later he was a Private in Labour Coy 703, 424 Agric Coy. He was in France for 3 yrs 2 months and England 3 months. In about February 1916 he contracted a rupture due to lifting. (Large left varicole). He transferred to Reserve 424 A C Labour Corps 8 March1919. He received the 1915 Star, Victory & British War medals. Hel lived at 43 Hallow Road. Service Nos. 201276 & TR/4/64072, 1/4 King's Shropshire Lt Infantry/Training Reserve Btn. Possibly lived in Wichenford, he died in 1965 (in Martley reg. district) - Absent Voters list 1919. Service No. 441, Ag. Co. Labour Corps. Service Nos. 31651 or 31851 (MCI) & SN 60861, Royal Fusiliers / 192nd Labour Corps. He was born in Claines in about 1876 and on the 1881 census he was living at The Cottage, World's End, Grimley. He later joined his sister Clara and her husband and family who had moved to Ystradyfodwg, Pontypridd, Glamorgan where Charles and his brother-in -law John Price were coal miners. Details of his service record have not survived, but the Electoral Roll for 1918 indicates that he was living at Moseley Road, Hallow.